Perhaps you are writing the great American novel – or you just have a very long document. Either way, you might want to create a Table of Contents (TOC) for that document. 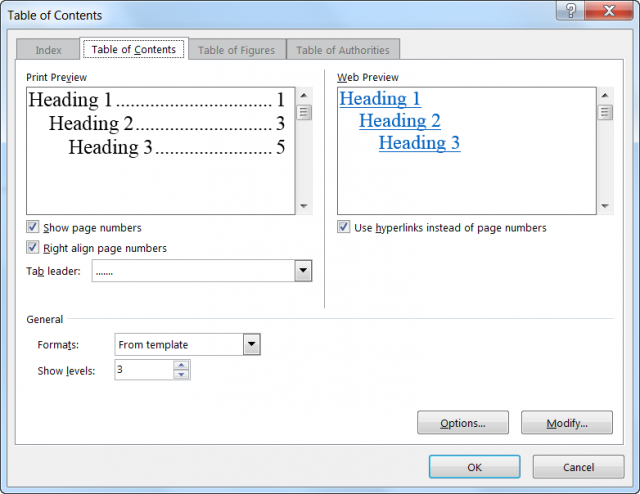 The easiest method for creating a TOC is using heading levels that are defined by Word Styles. Remember, this method creates a TOC based on heading levels in your document. That means your document must use heading styles throughout. I know a lot of you shy away from using Styles, but believe you me, once you see how much easier they make your life, you will use them always!